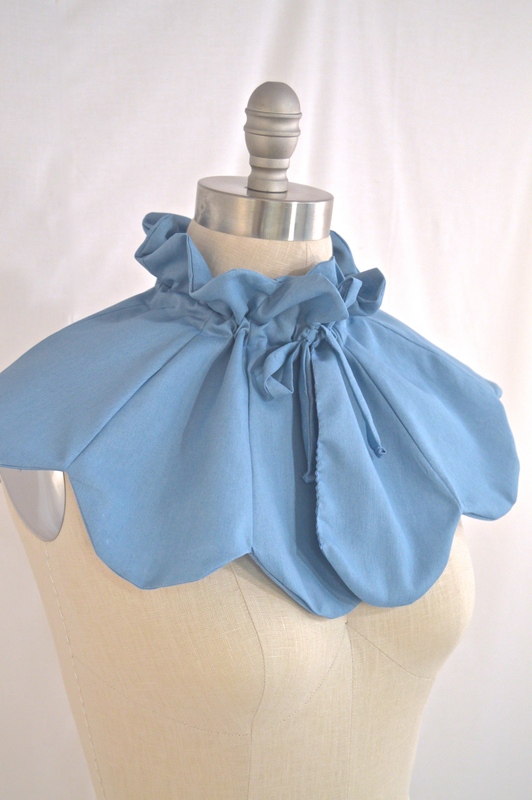 I came across a picture of this adorable little cape in a 1950’s sewing magazine a few weeks ago and simply fell in love. I knew I wished to recreate this look and was very pleased at how easy and quick this was to put together. 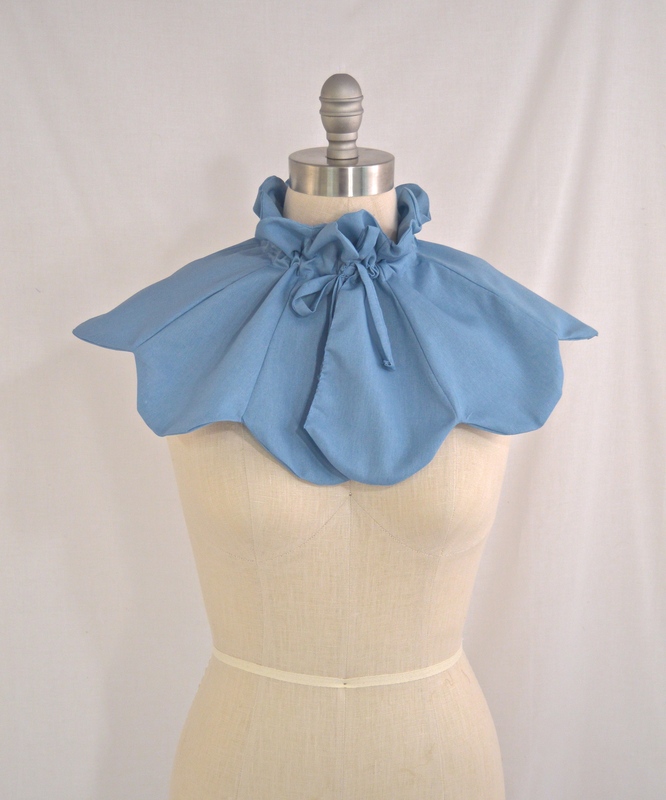 From start to finish (including cut out time) it took just under an hour and with some pressing, this little capelet is the perfect cover for any 1950’s summer dress! 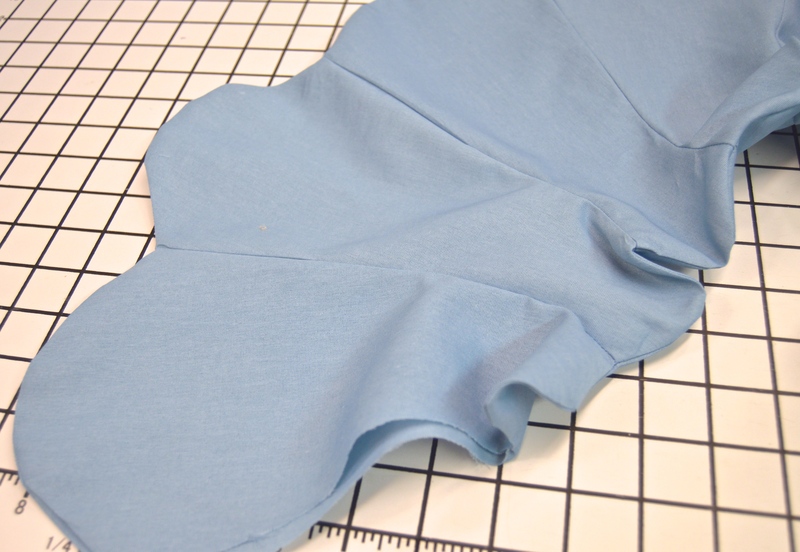 You will also need to cut out one 36″ x 2″ strip for the tie that goes into the casing around the neck. 1. 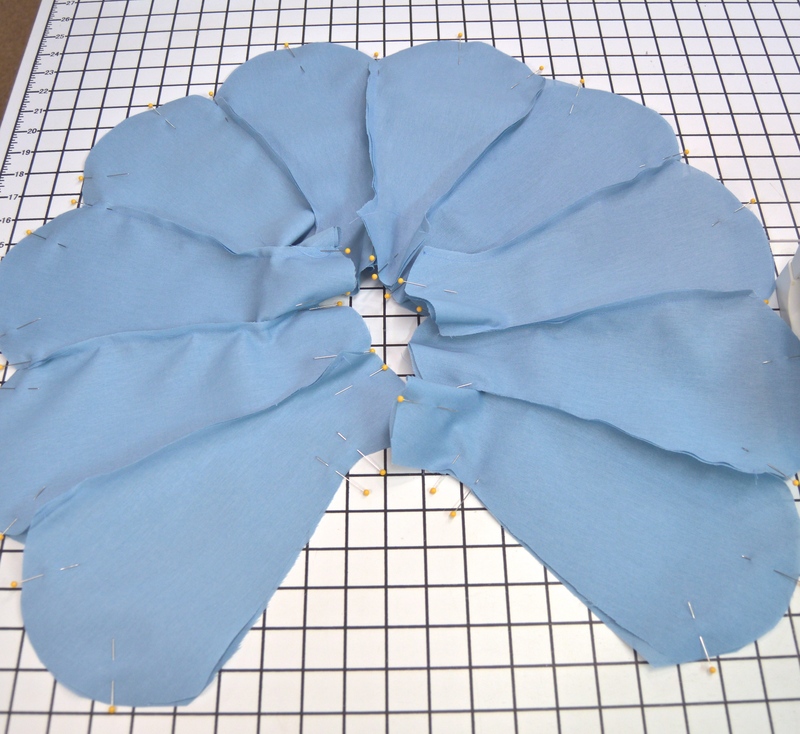 Stitch together all ten pieces of the capelet, right sides together, but make sure not to stitch into a circle. 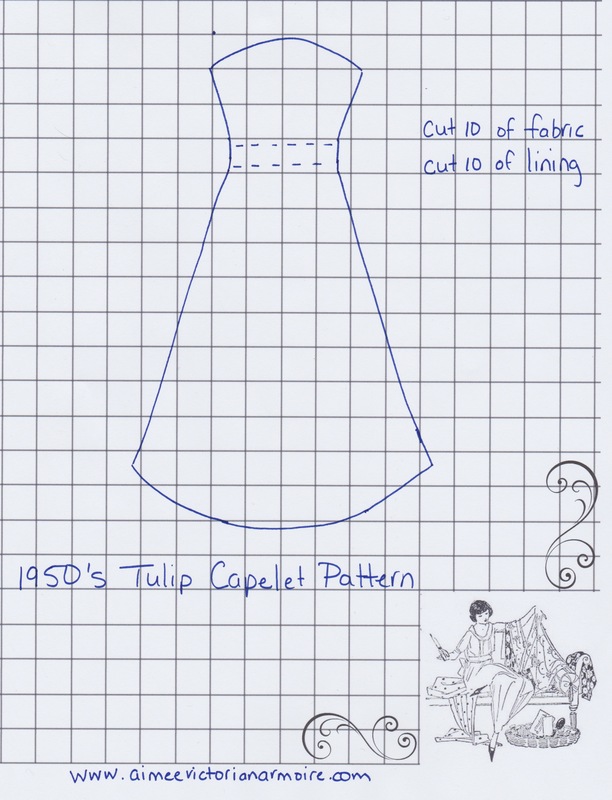 Repeat with lining pieces. Place the two pieces right sides together and pin. 2. 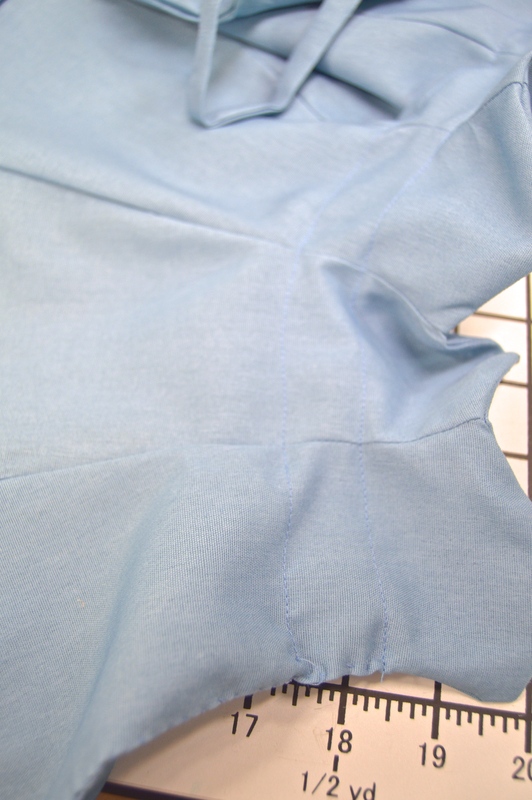 Stitch around all outer edges, but leave the front seams open. You will whipstitch these closed later. 4. 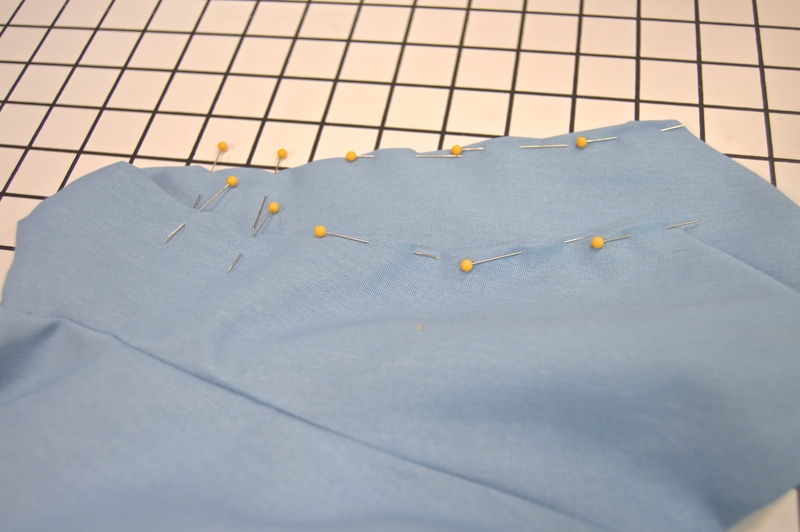 Pin the location for the casing and stitch. 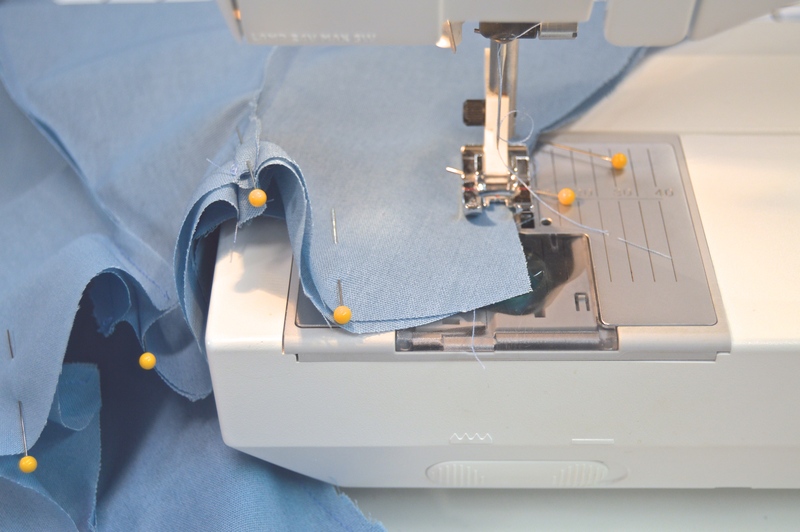 You can also turn under the front seams, pin, and whipstitch. 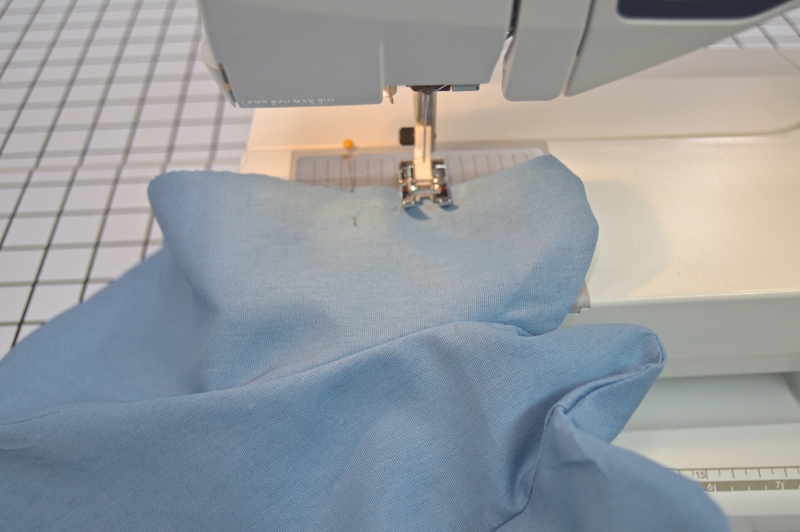 Stitch the ties, turn right side out, press, and then insert through the casing. I was also honored to be interviewed by Jessica from Chronically Vintage. Please visit her amazing sight to check out not only my answers but her as well! Stunning! In fact I found you on Jessica’s blog. Pleased to meet you. I love anything vintage! Great little tutorial. Such a useful garment, and for soo many different outfits! 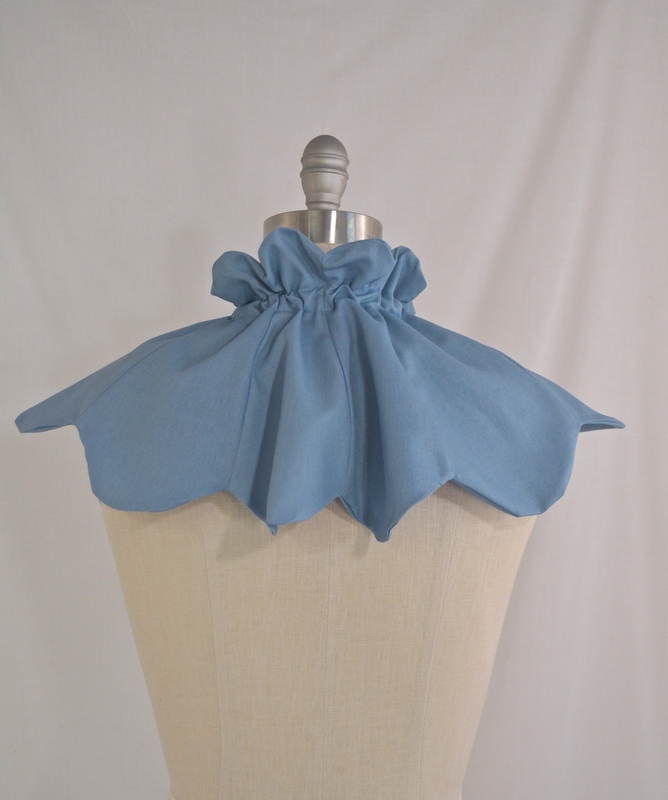 I’m now brimming with ideas for this capelett. Thank you. Thank you so much! I am glad that you like it. It is always a passion of mine to try to bring back, in some small way, those cute pieces from the past. 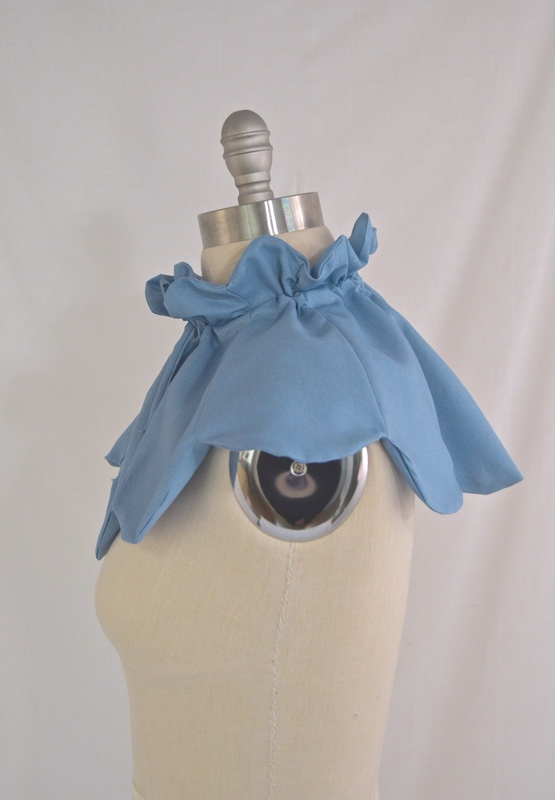 So glad you found me on We Sew Retro!